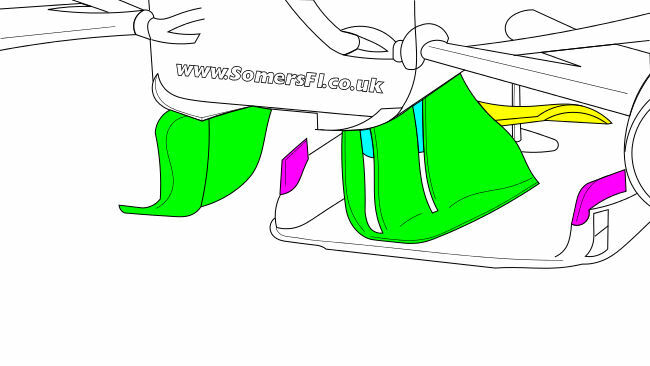 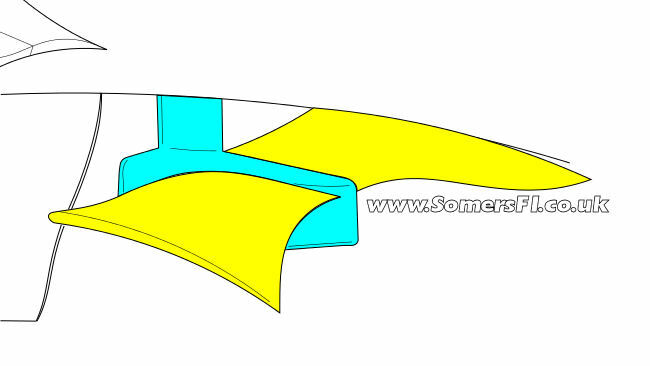 The upper flaps have been completely reprofiled (Green), as has the mainplanes connection point to the neutral centre section (Blue). 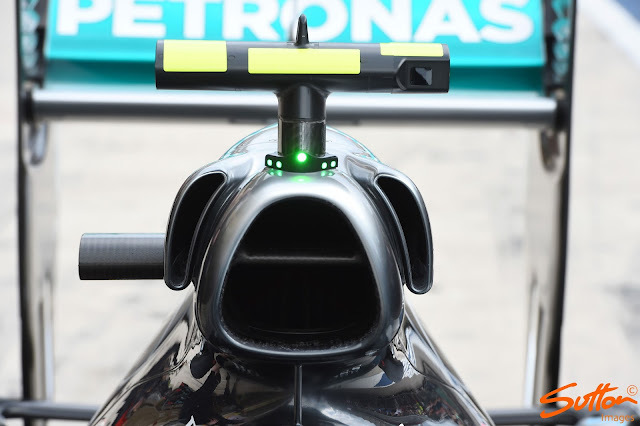 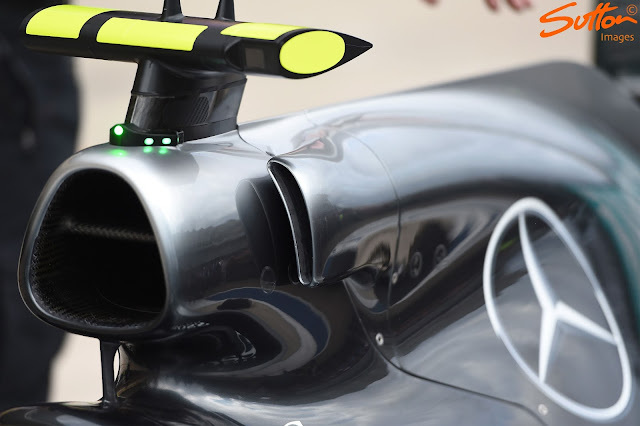 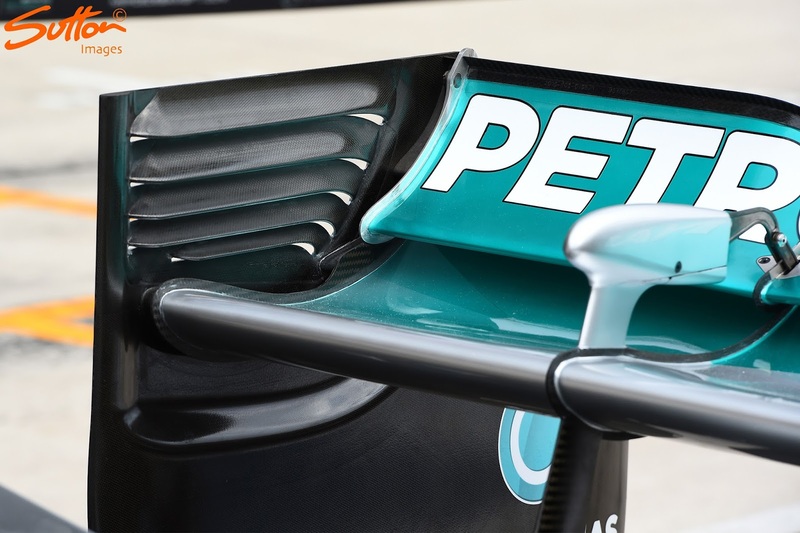 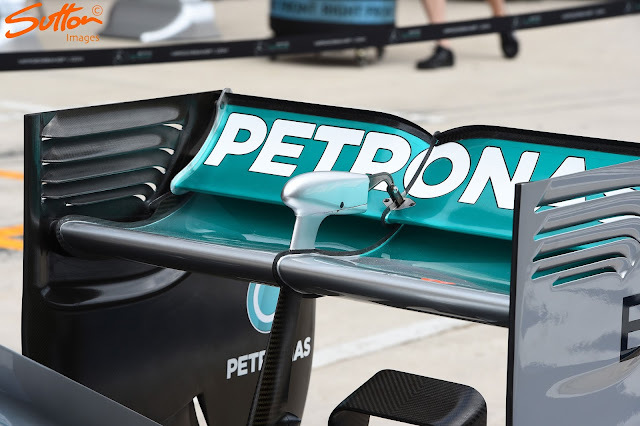 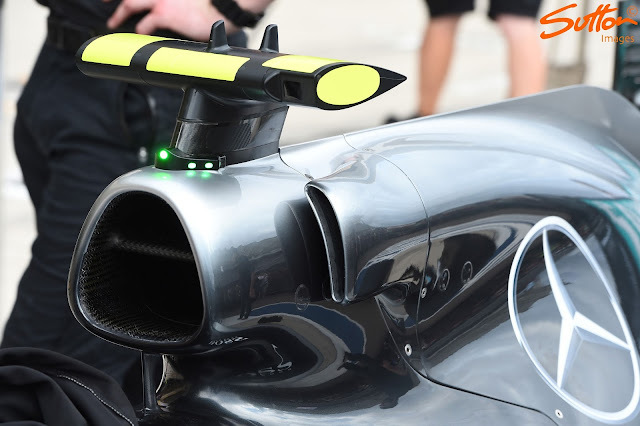 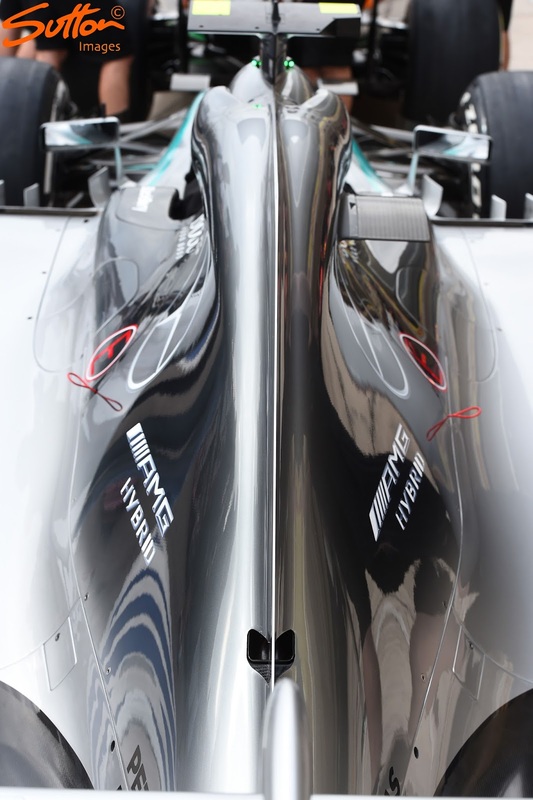 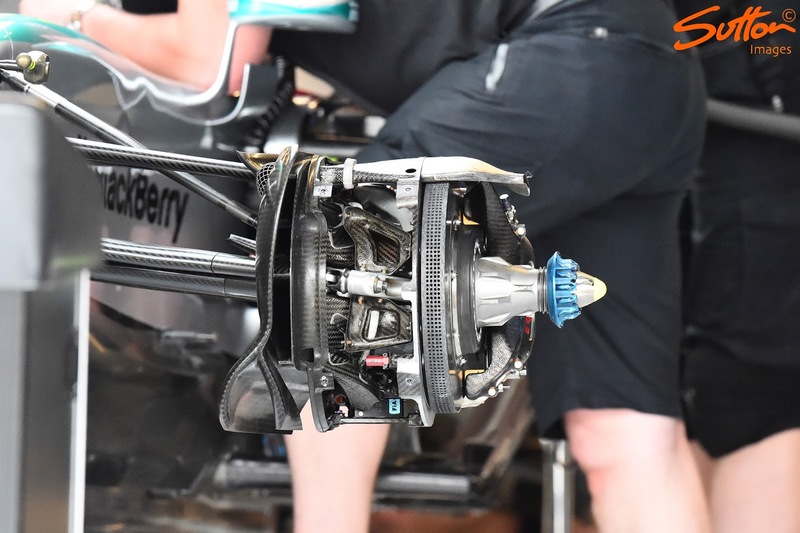 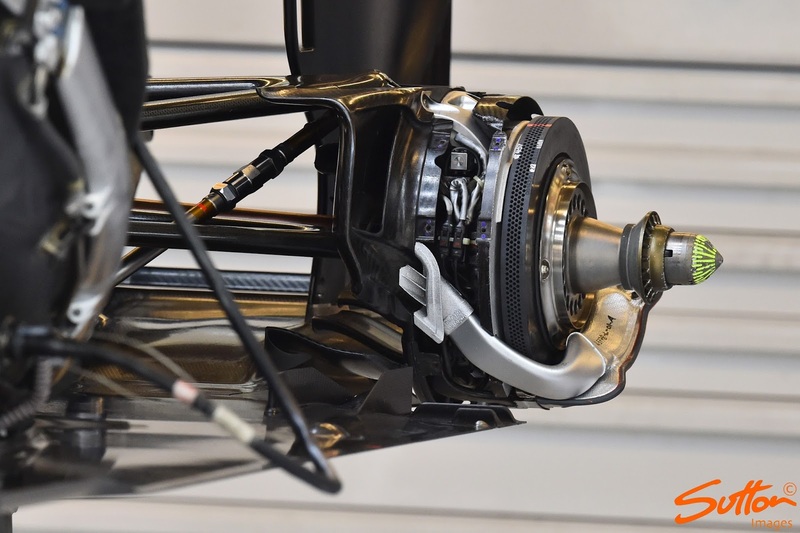 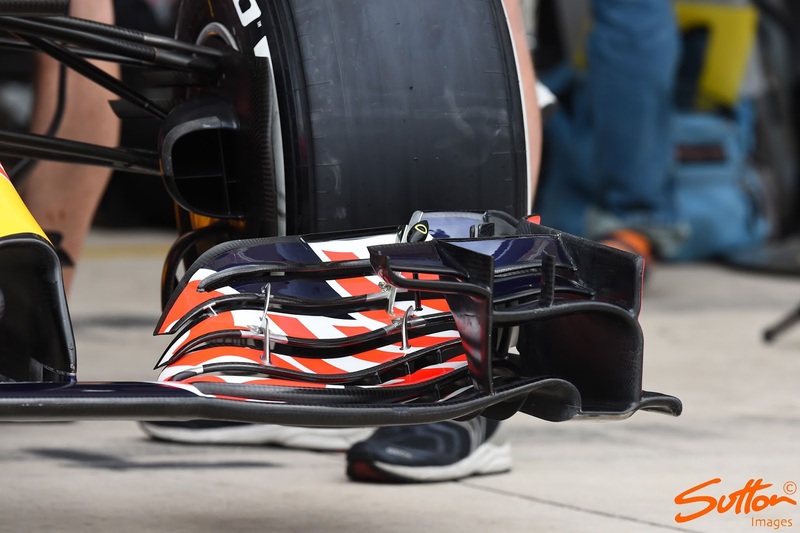 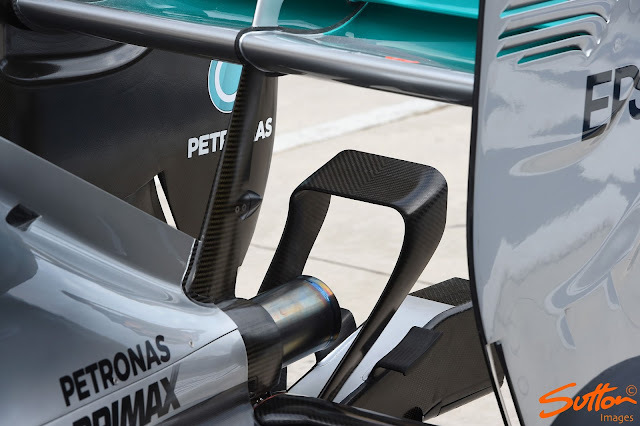 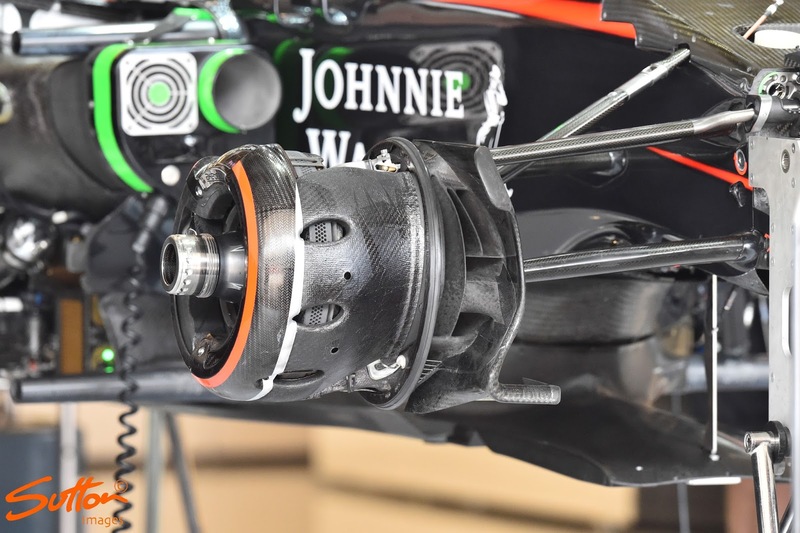 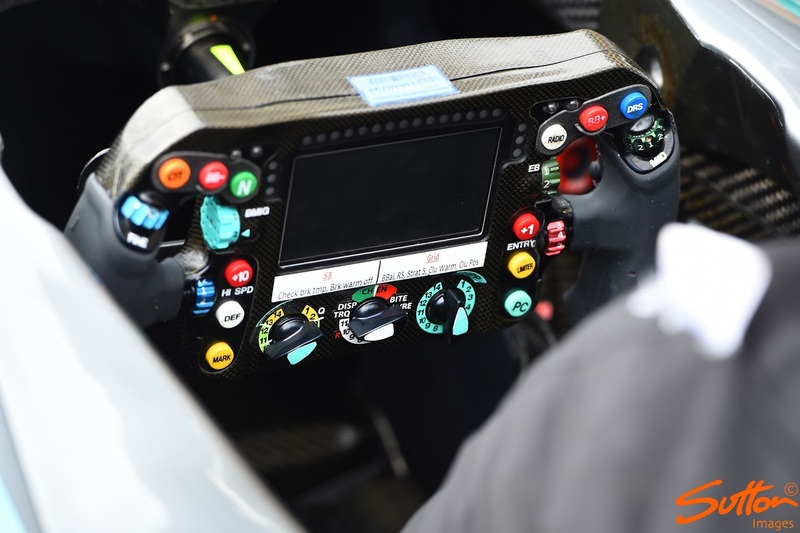 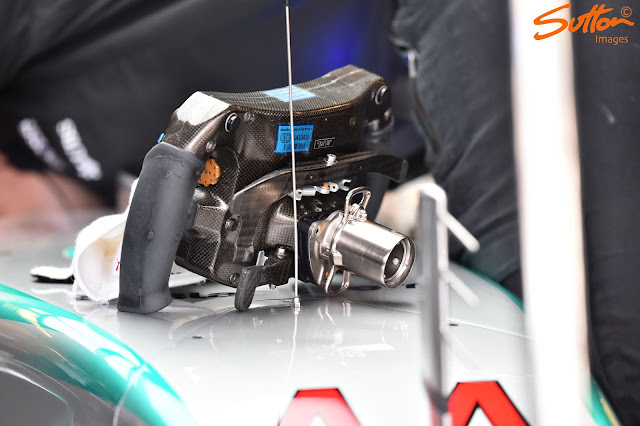 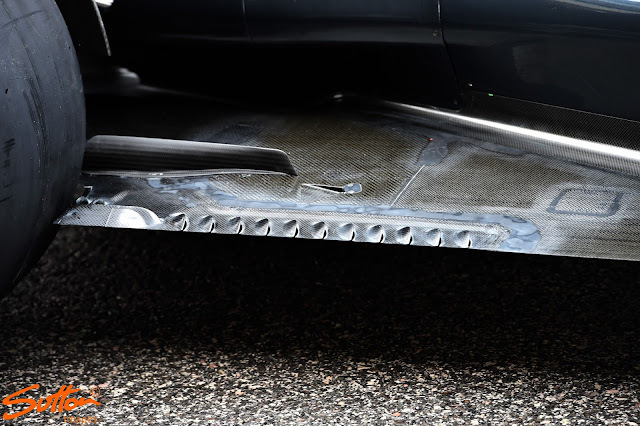 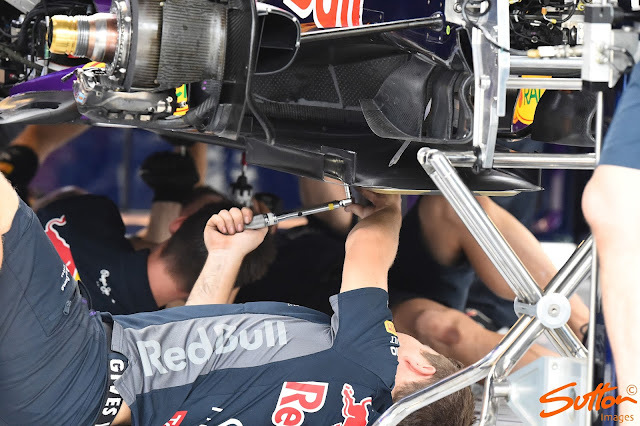 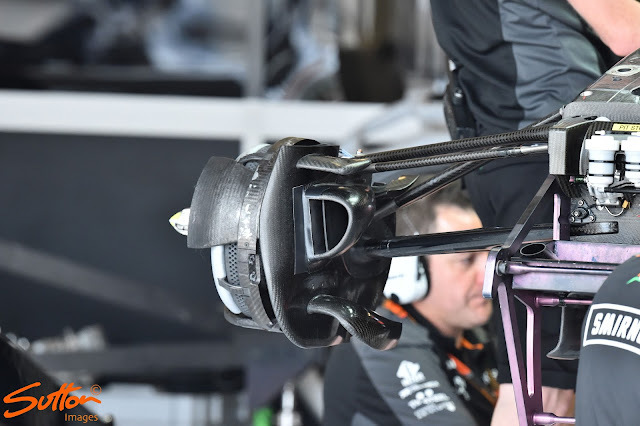 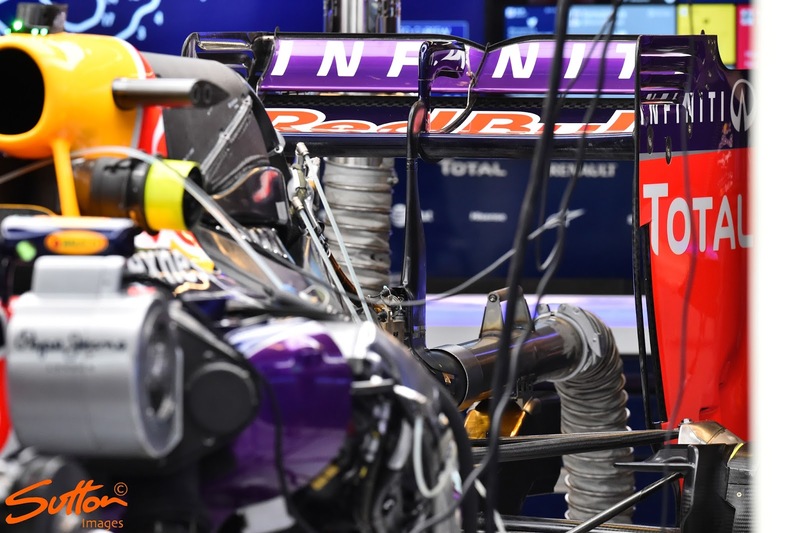 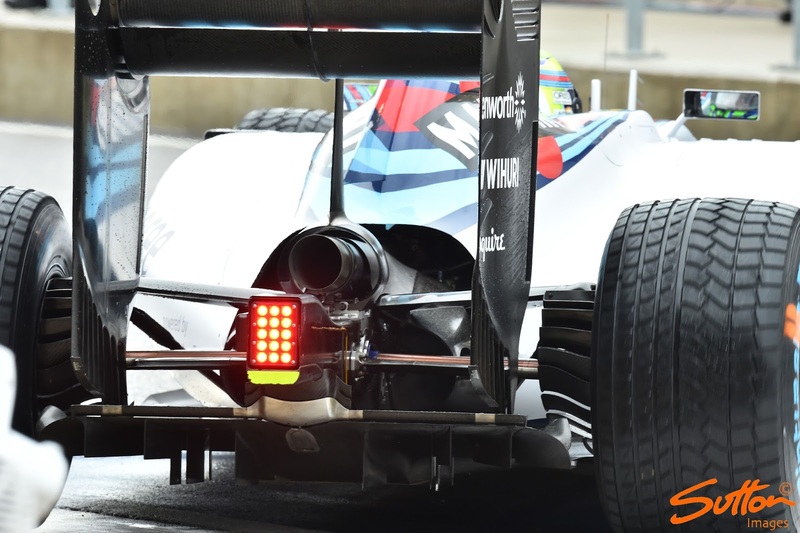 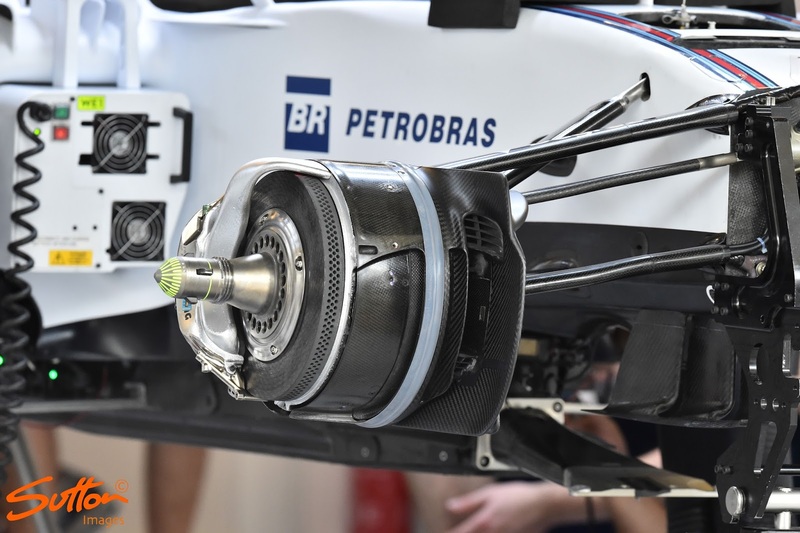 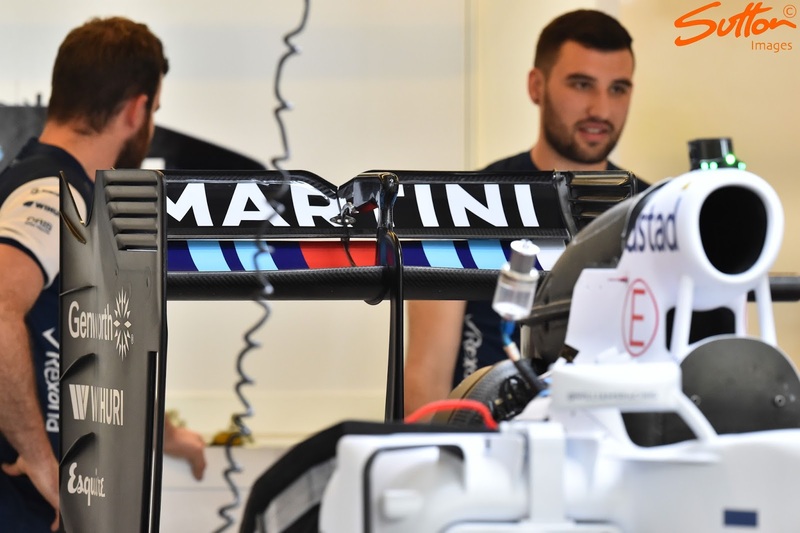 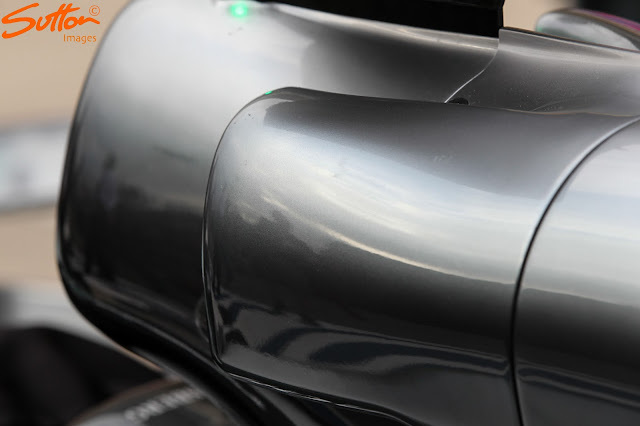 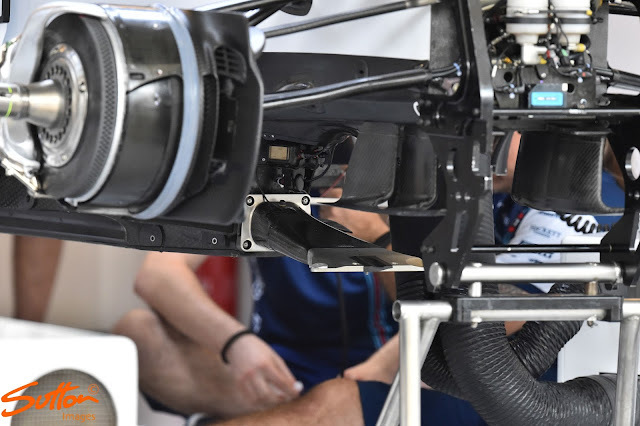 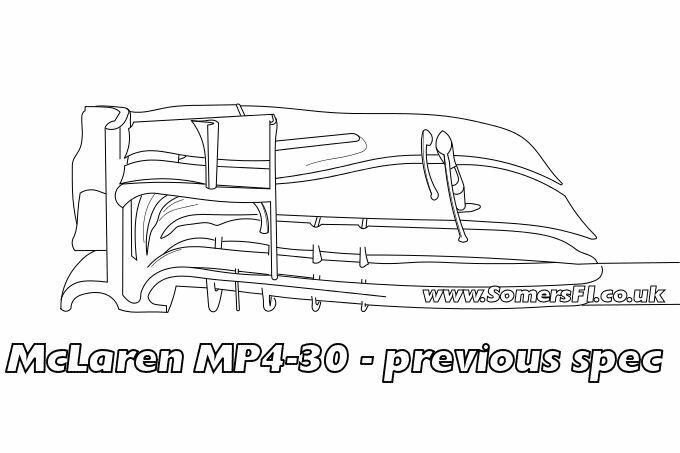 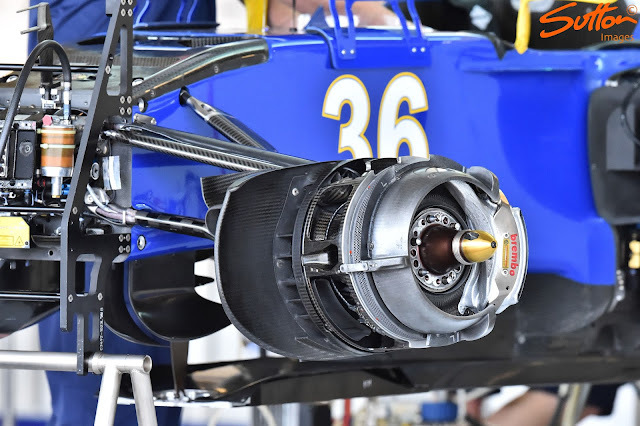 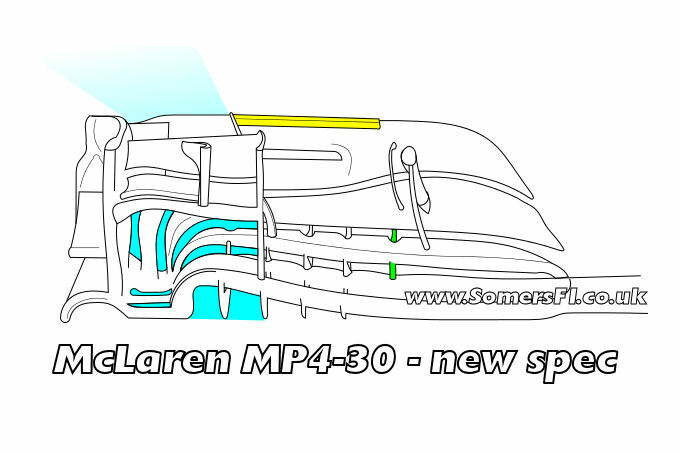 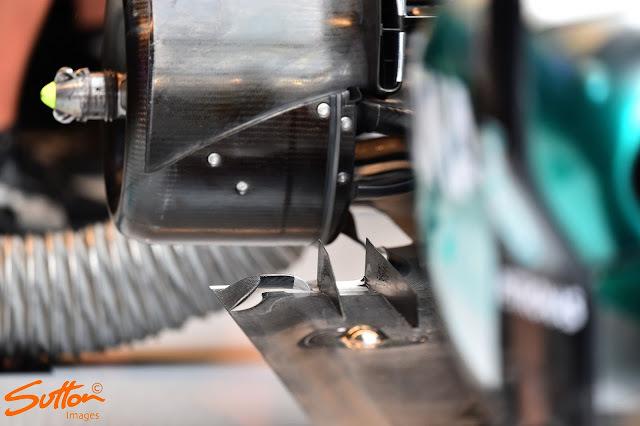 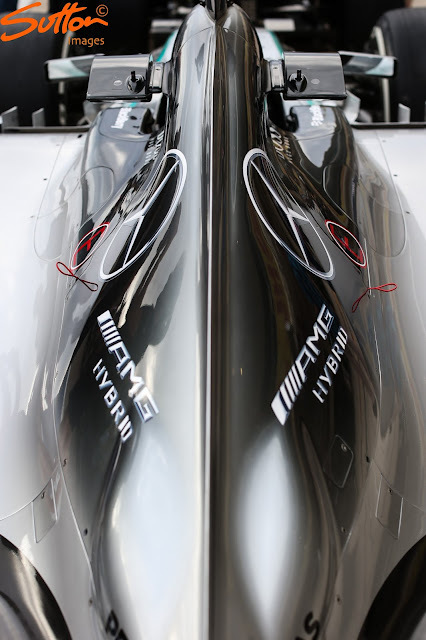 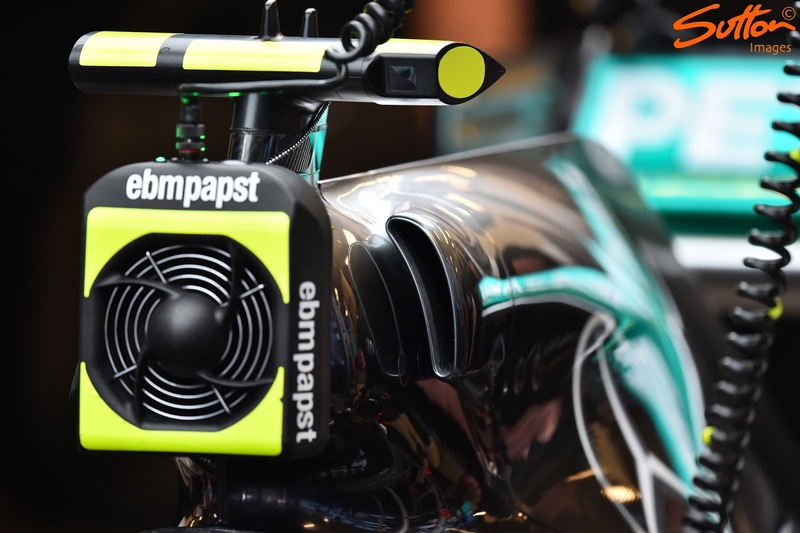 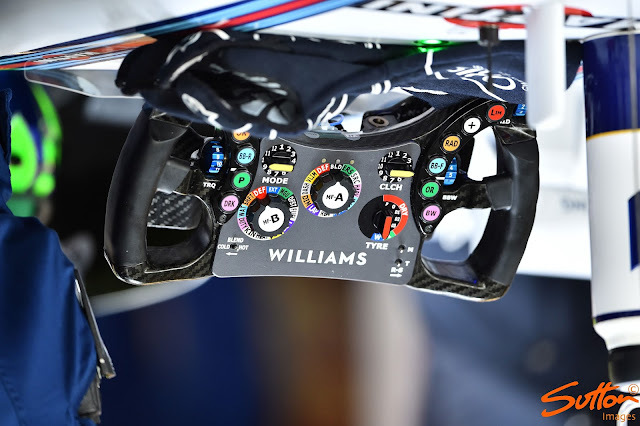 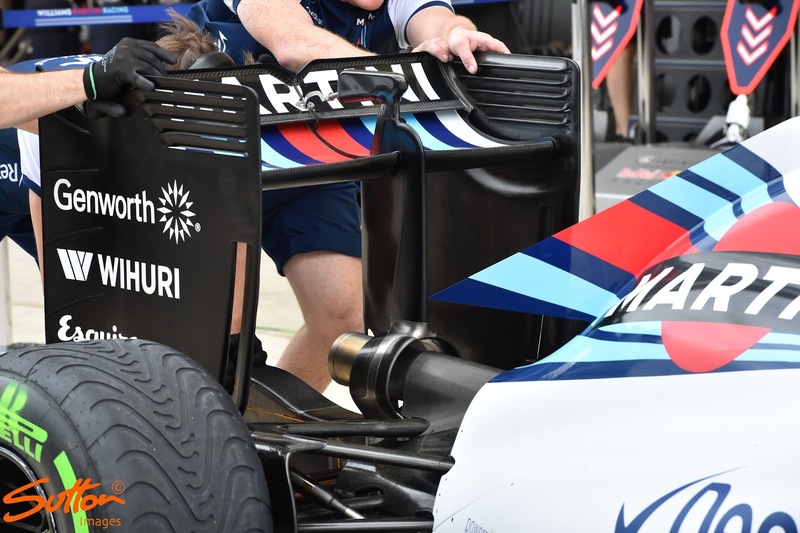 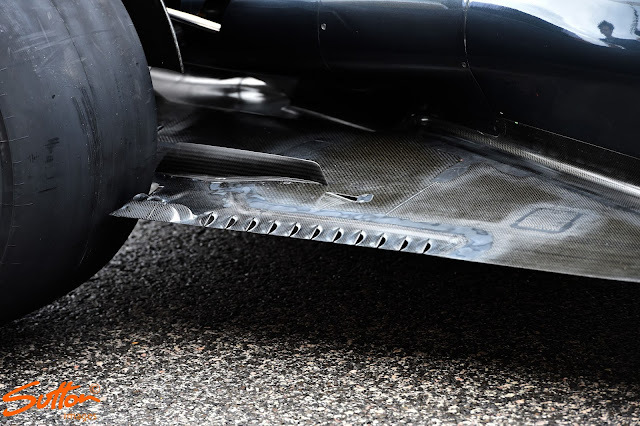 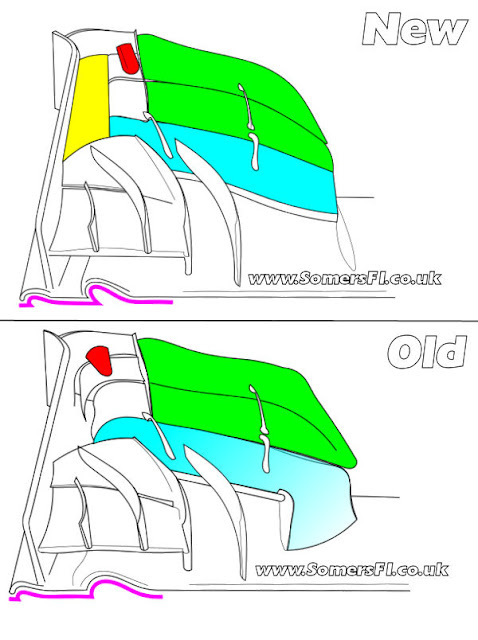 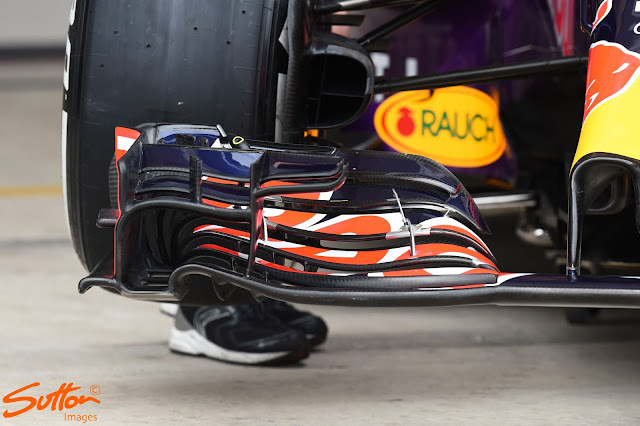 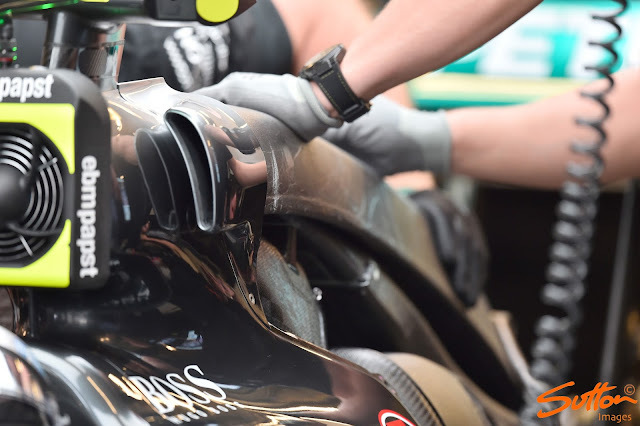 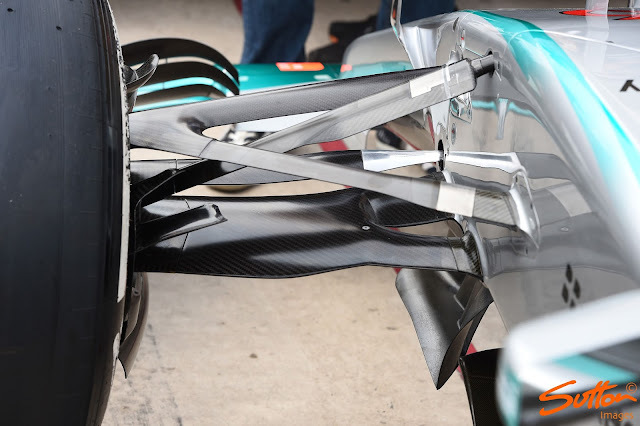 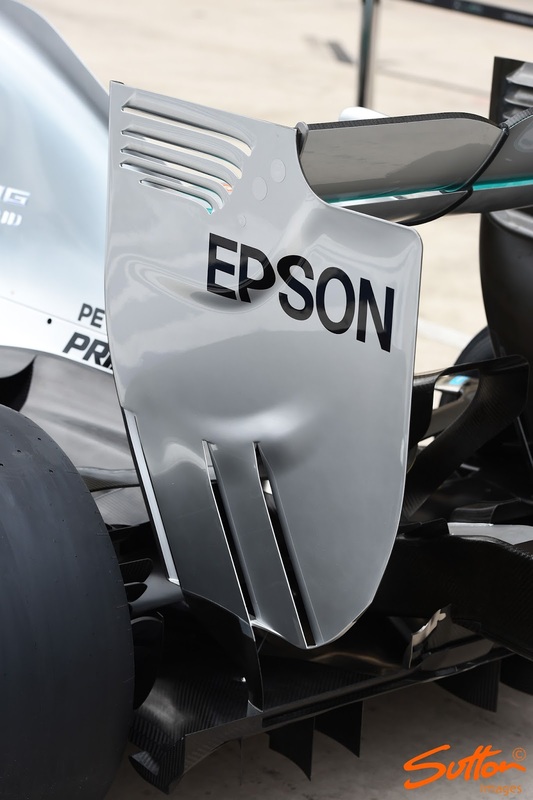 Both of the changes above will affect how the Y250 vortex forms and has been do so inline with changes to the Turning Vanes and addition of a bat wing further back. The mainplane arcs (purple)at the outboard leading edge has also been amended with the flaps in that section behind it also being changed. 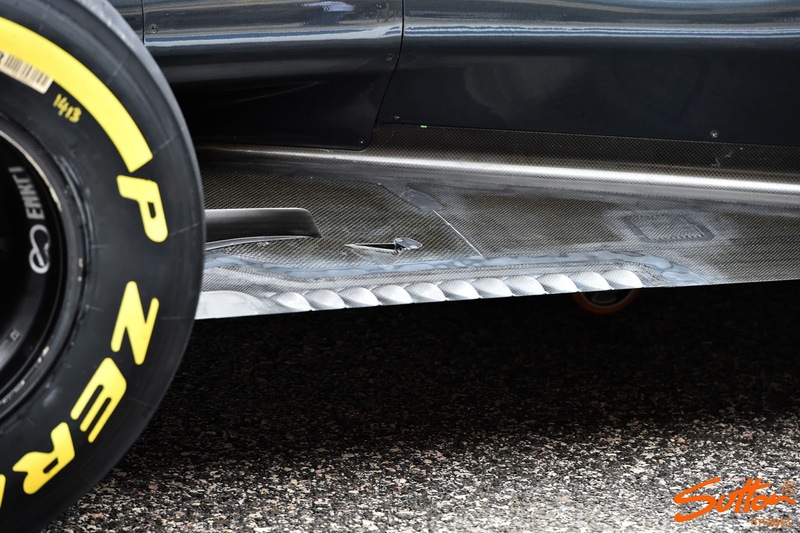 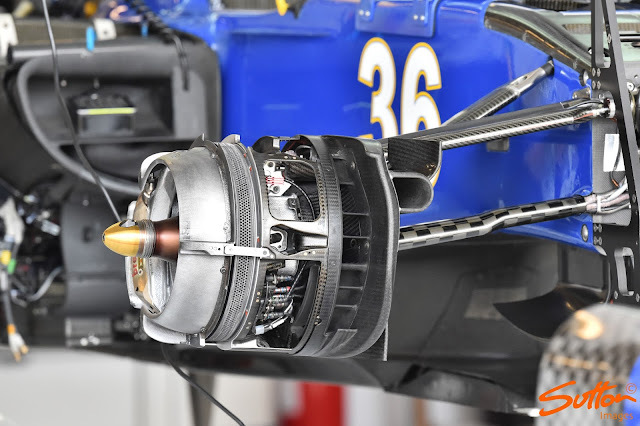 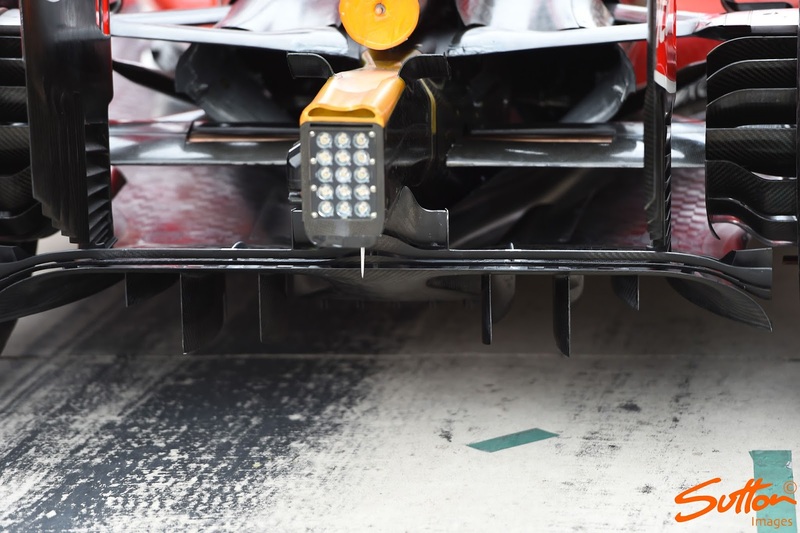 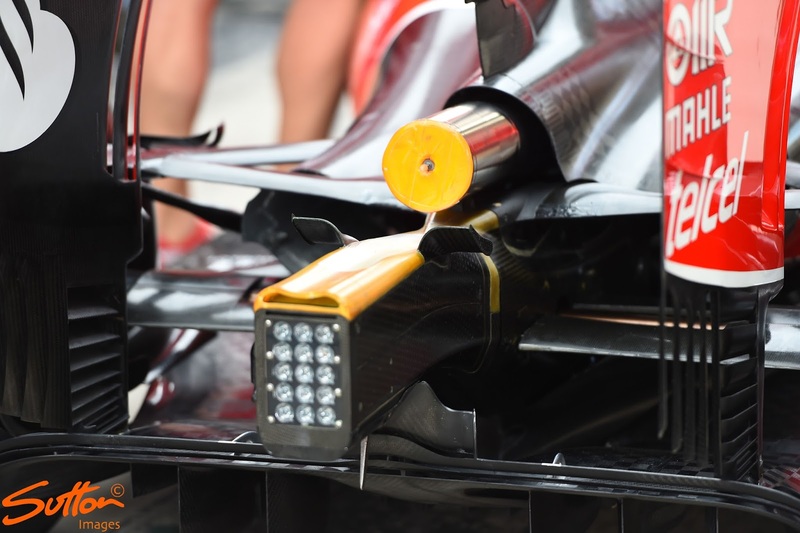 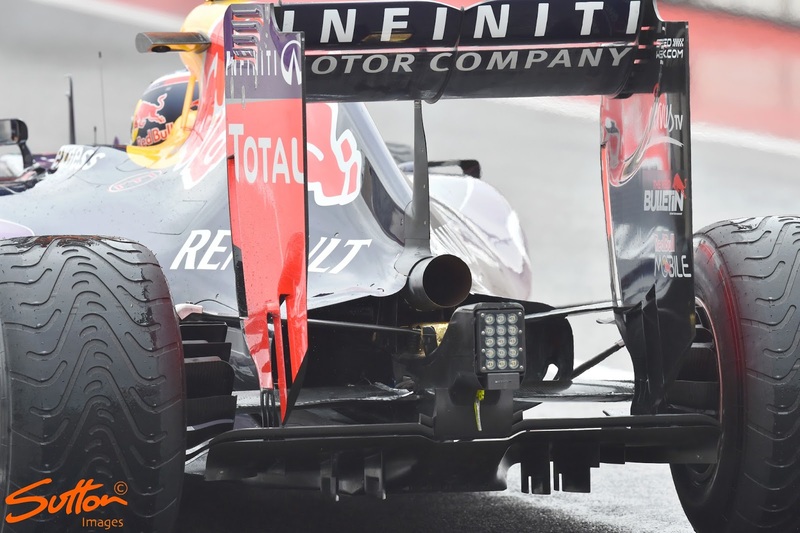 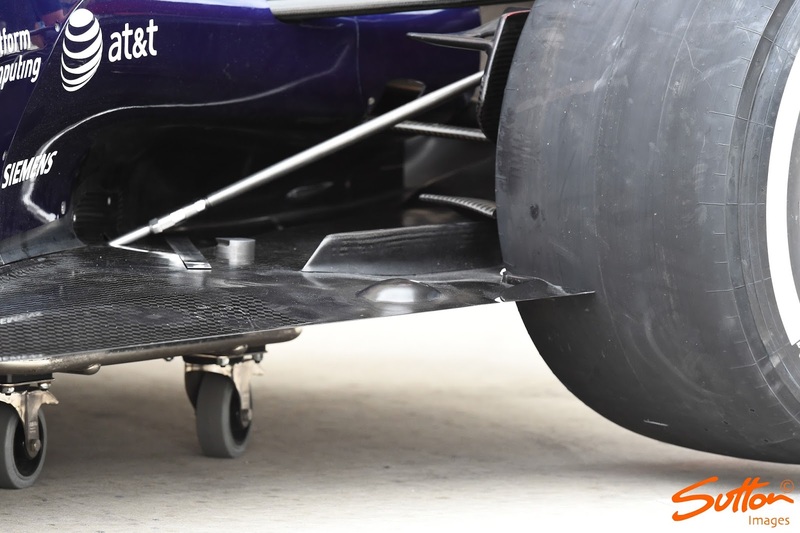 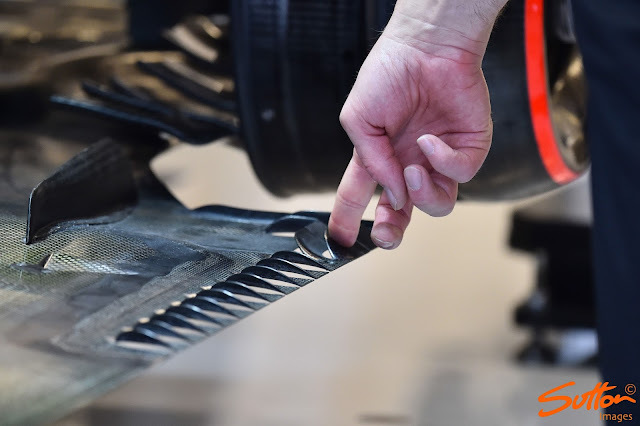 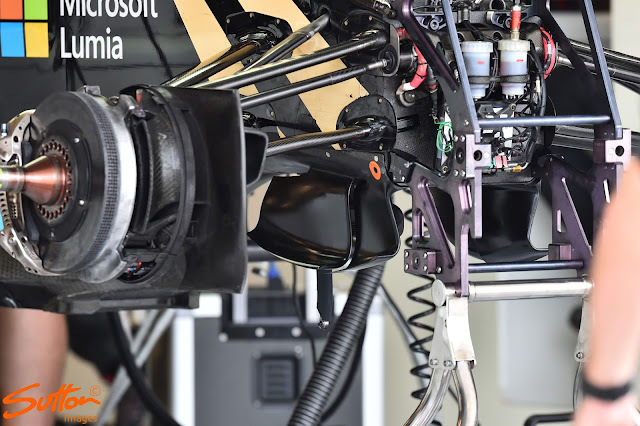 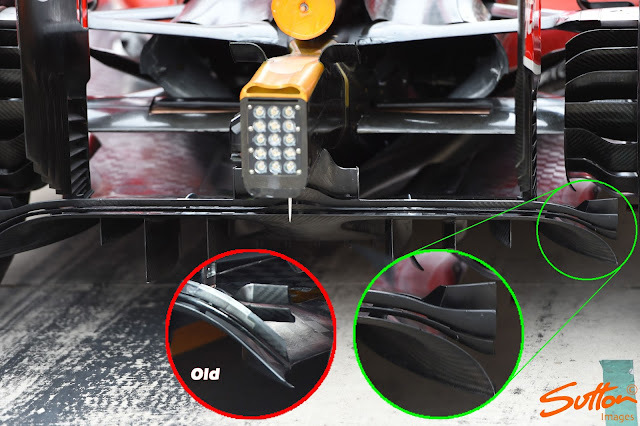 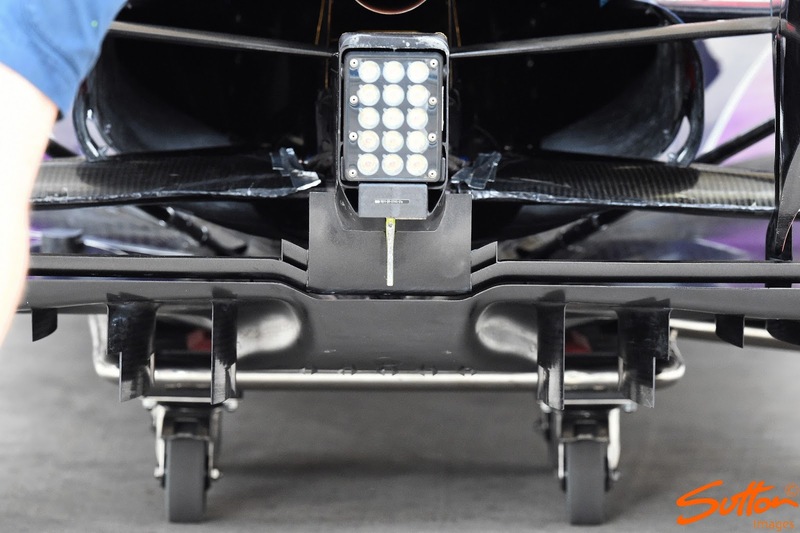 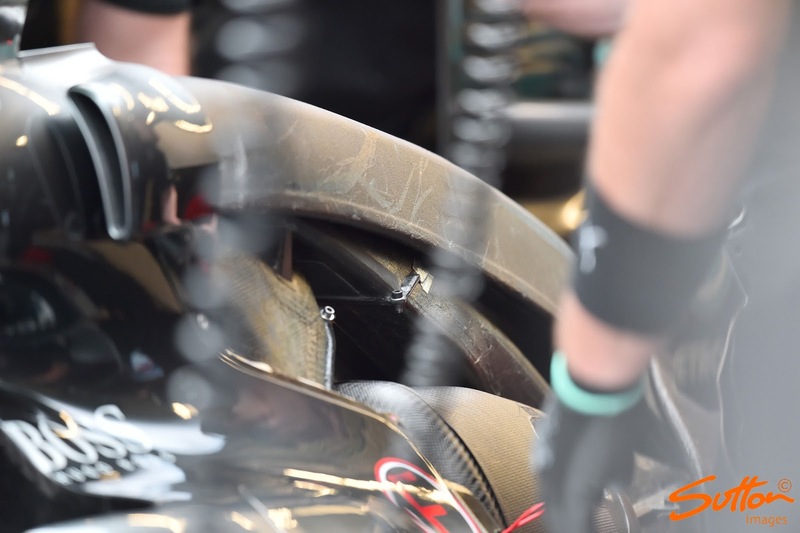 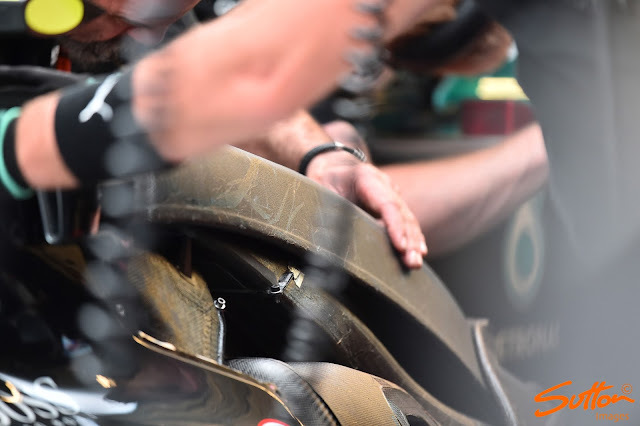 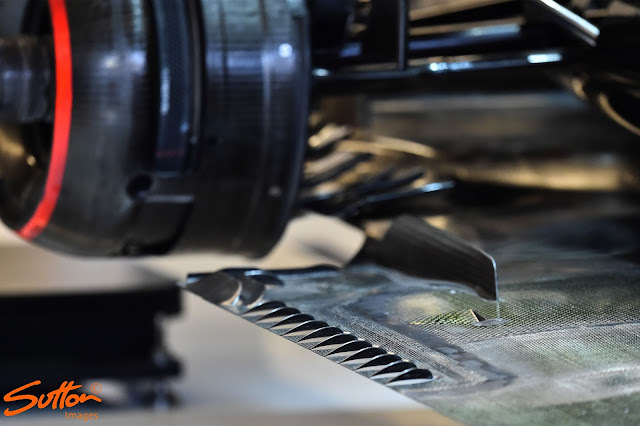 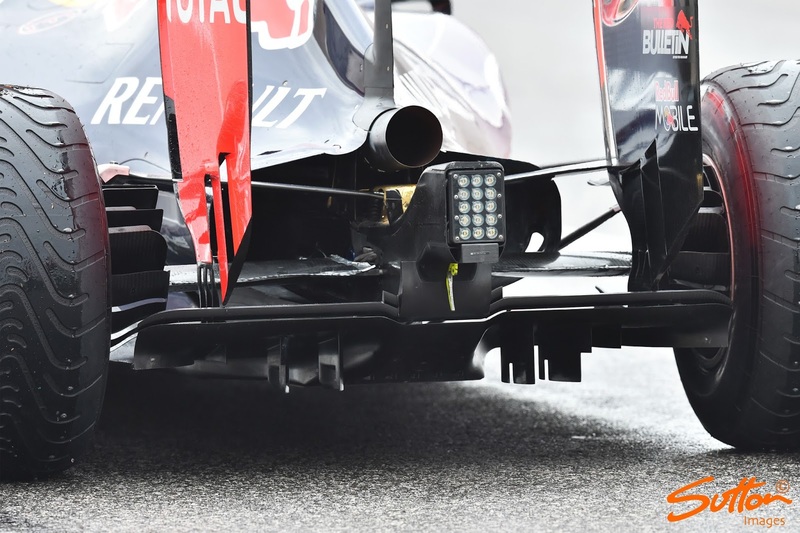 The infrared camera (red) which monitors tyre temperatures across the tread platform has also been reshaped and moved making way for a new inboard endplate canard (yellow) which along with the aforementioned outboard alterations will change how the airflow moves around the front tyre, affecting the wake that it then sheds. 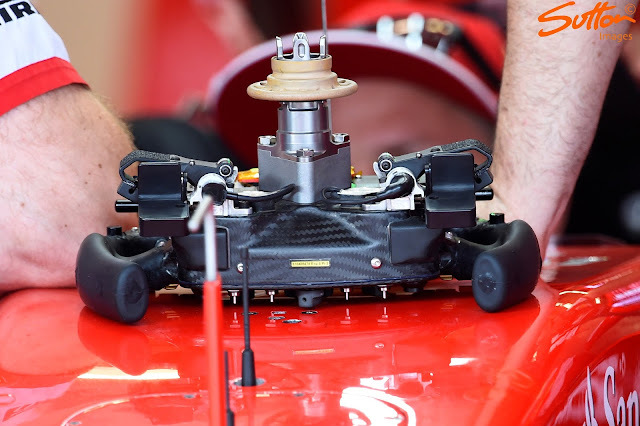 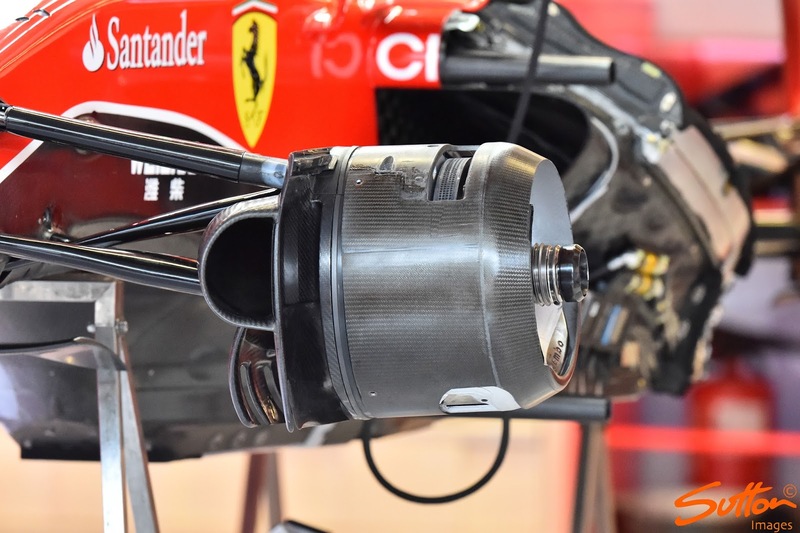 Ferrari SF15-T - Changes made to both the Gurney extensions (shortened) and the additional upstands in front of the Gurneys with one less used owing to the shape/length changes. 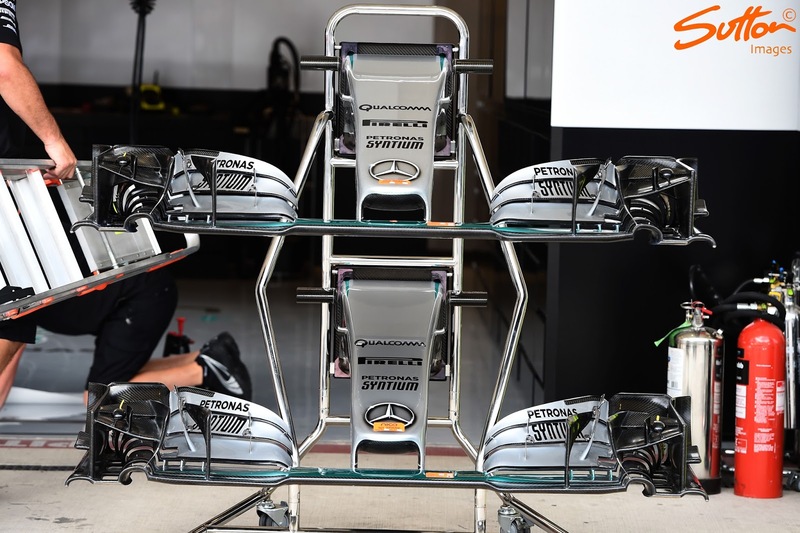 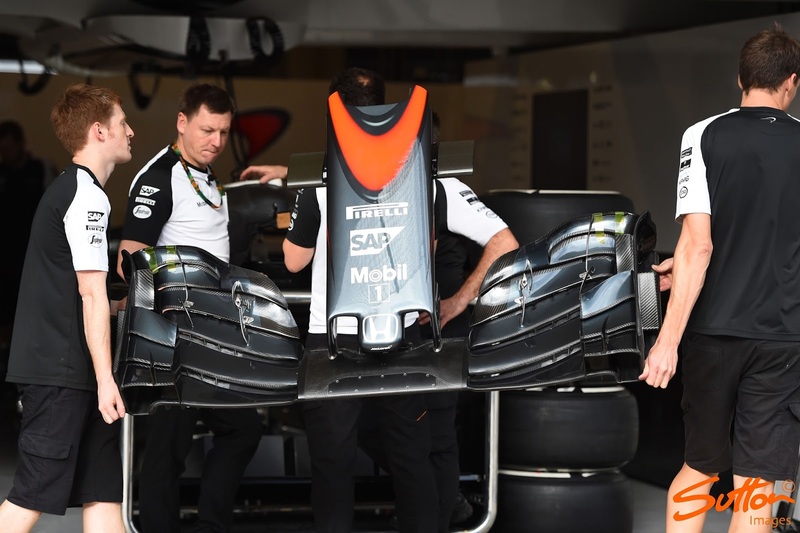 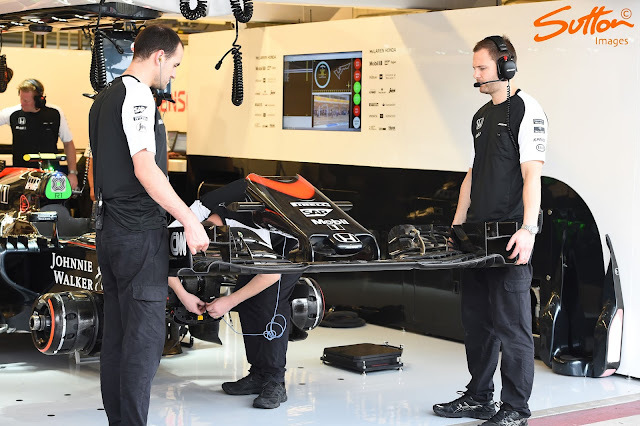 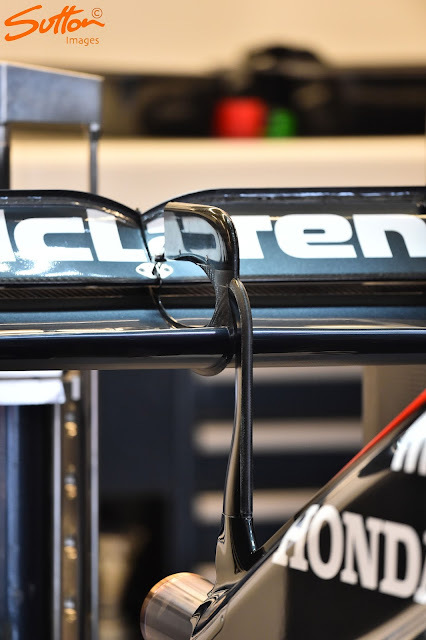 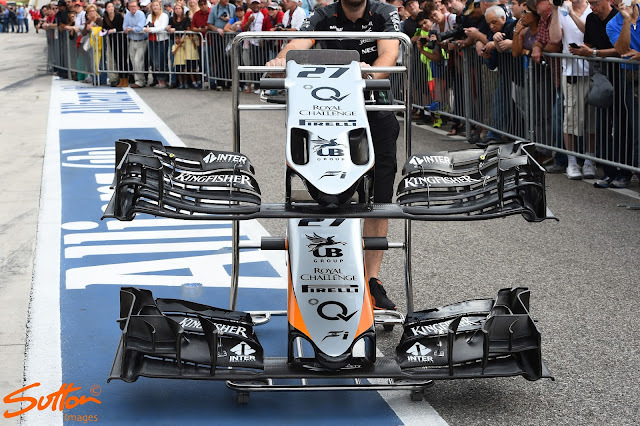 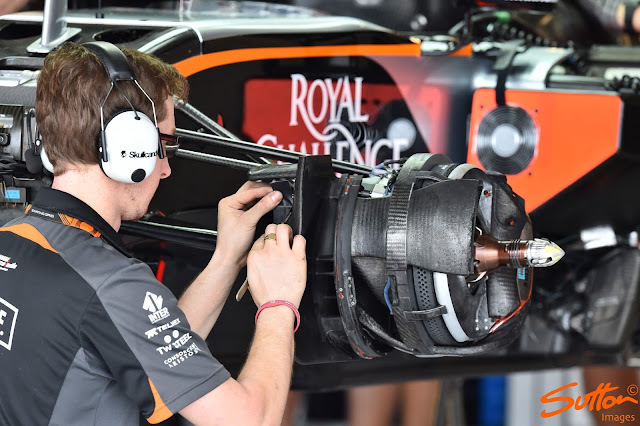 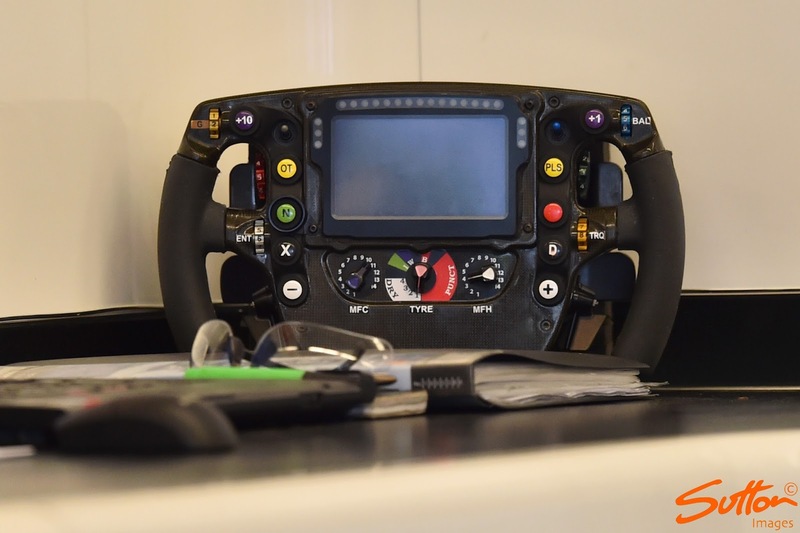 McLaren are investigating changes ahead of 2016 which mainly centre around the use of a more aggressively raked car, in order to do this all of the aero components must be tuned to take advantage of the rake. 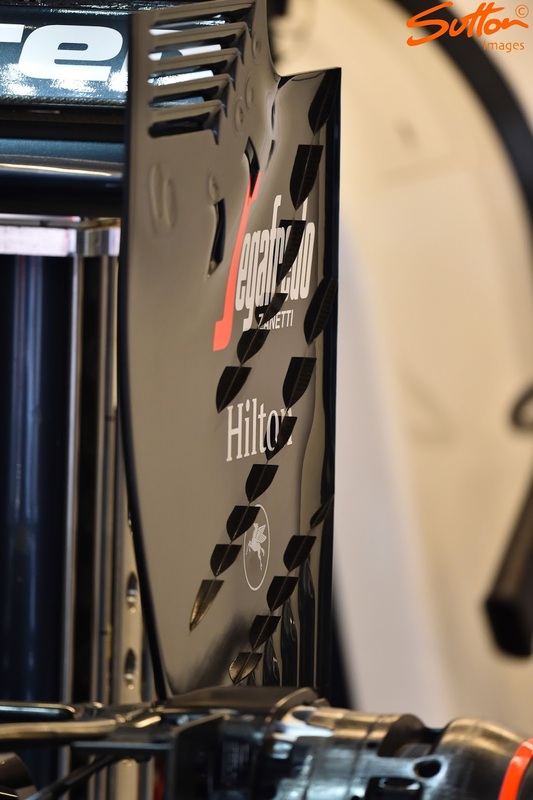 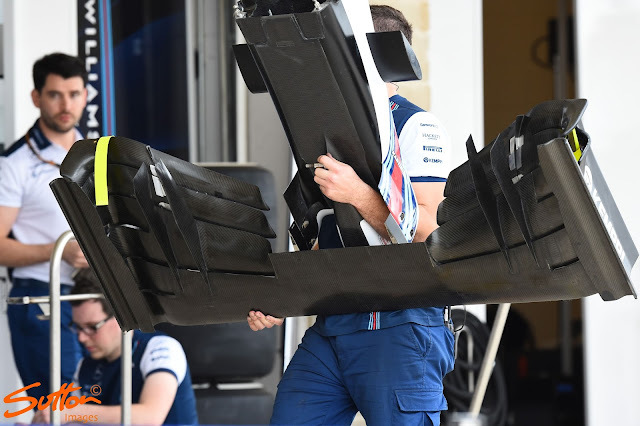 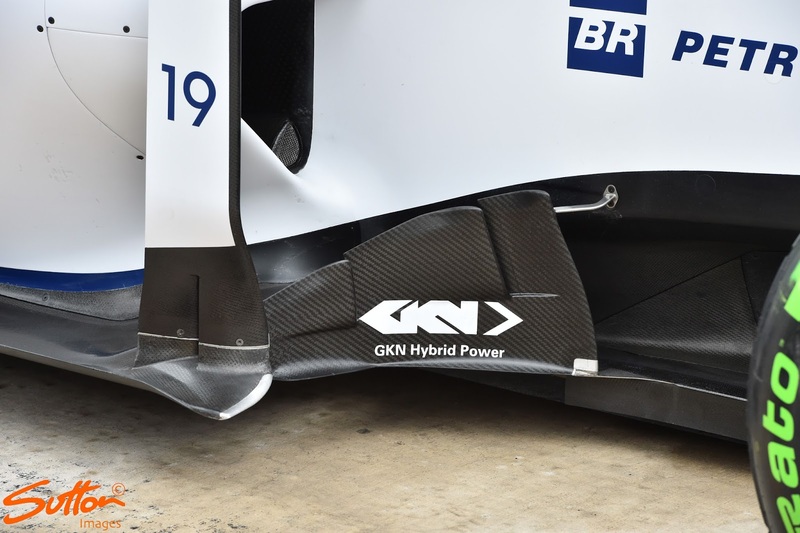 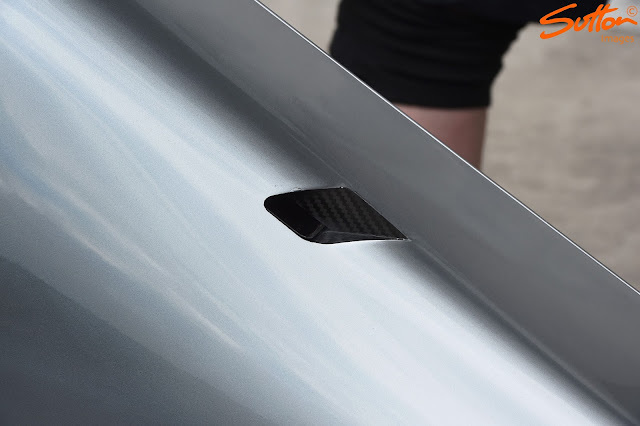 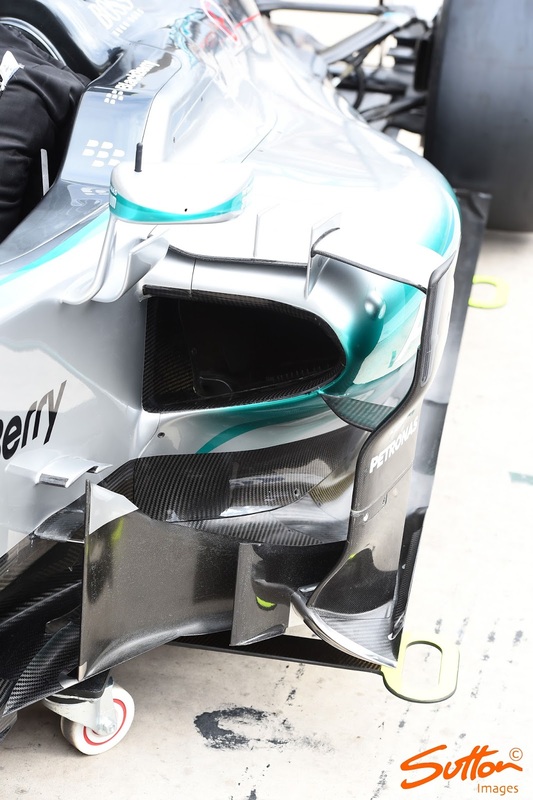 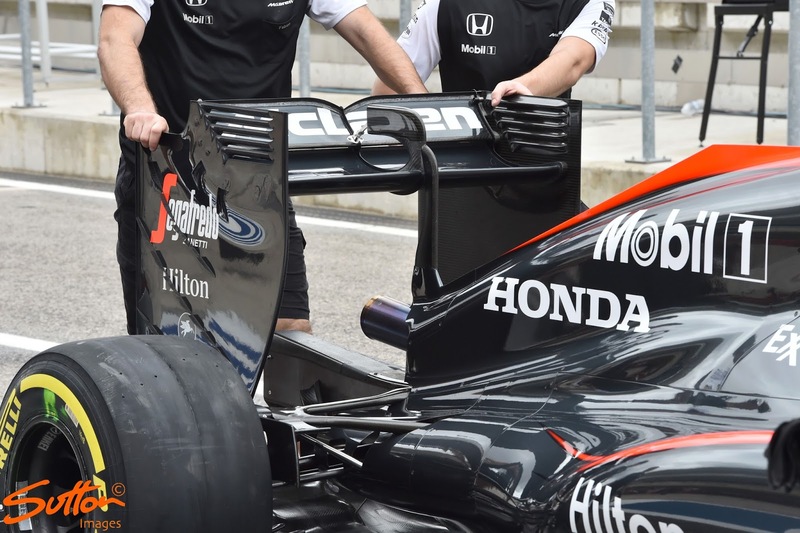 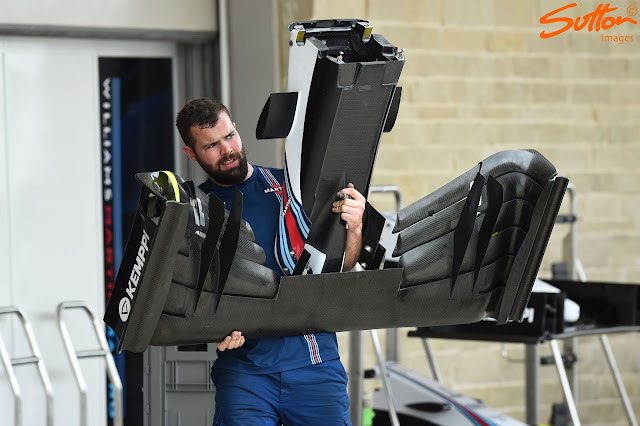 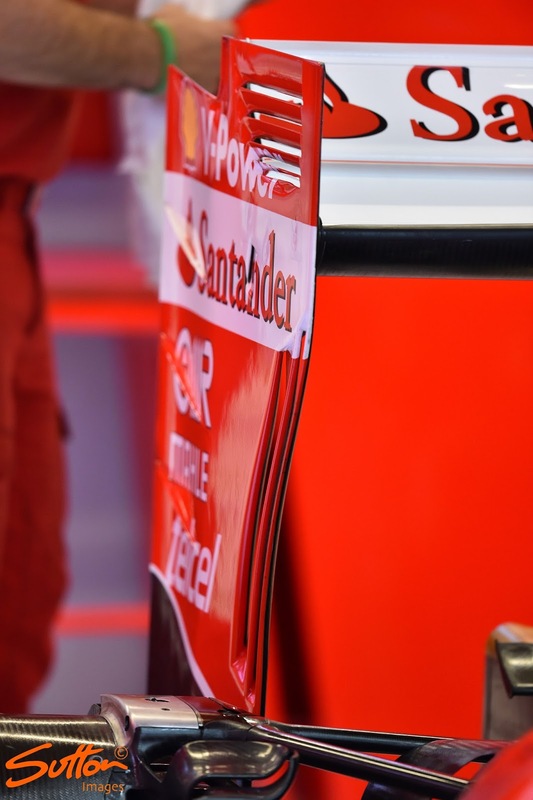 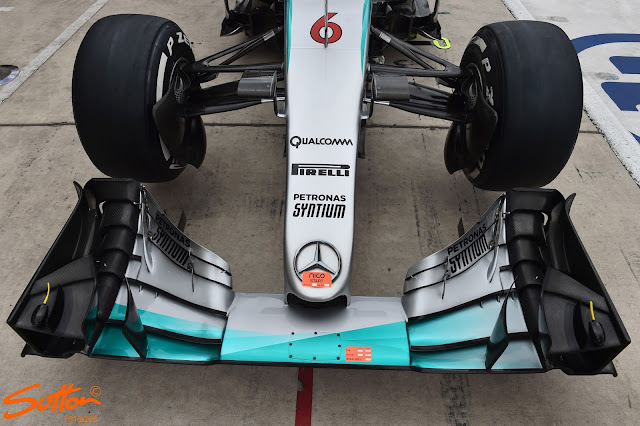 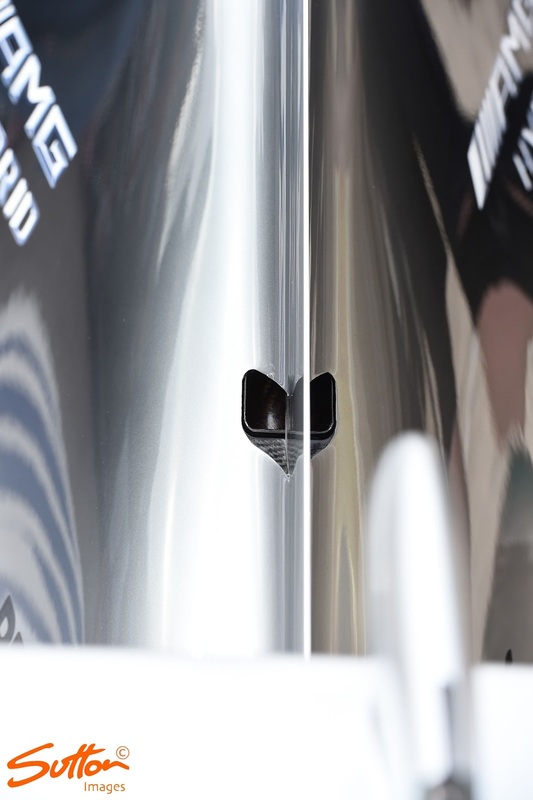 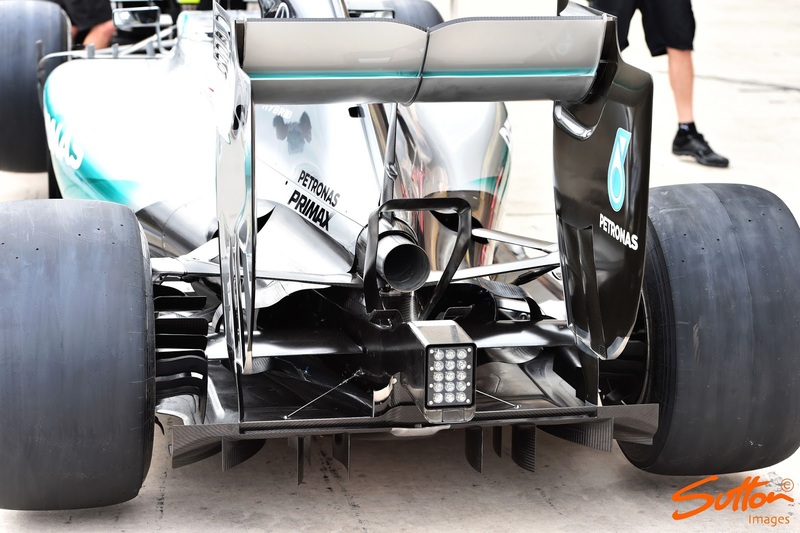 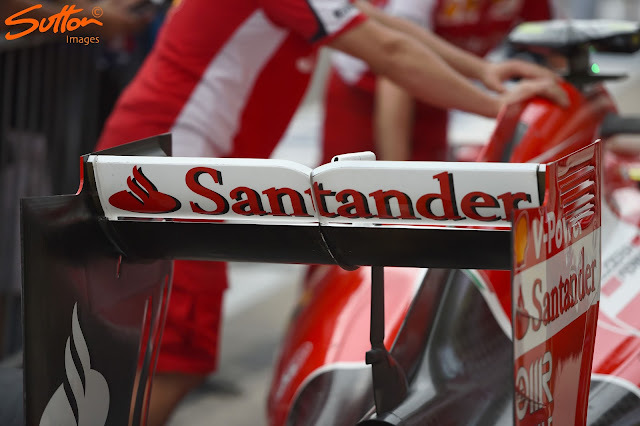 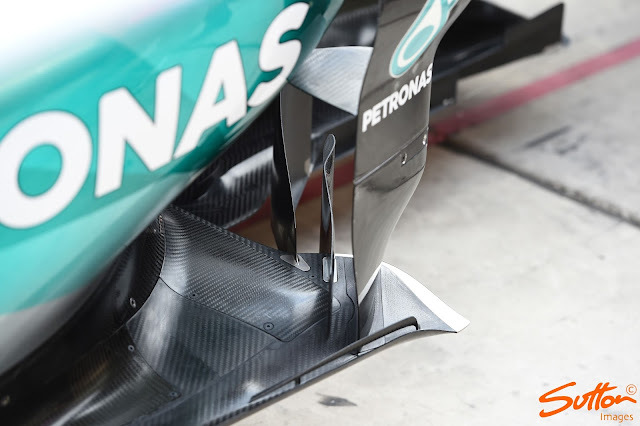 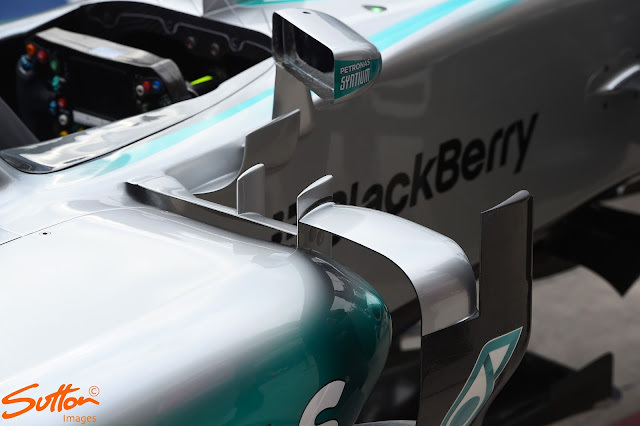 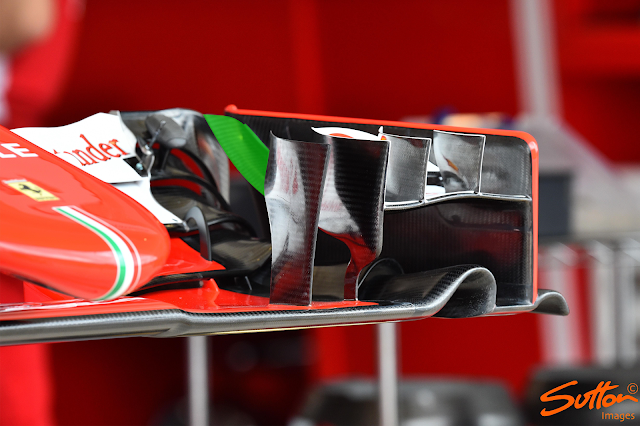 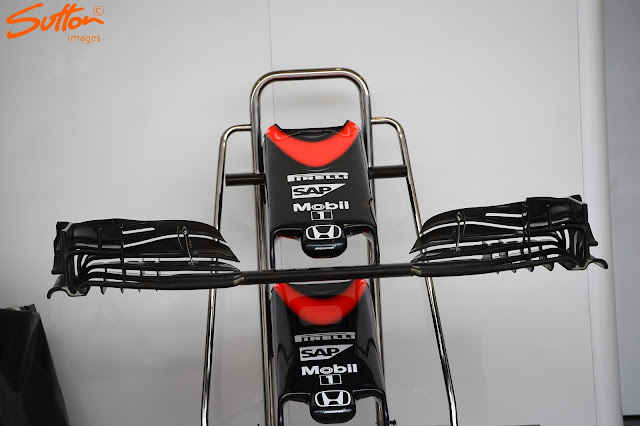 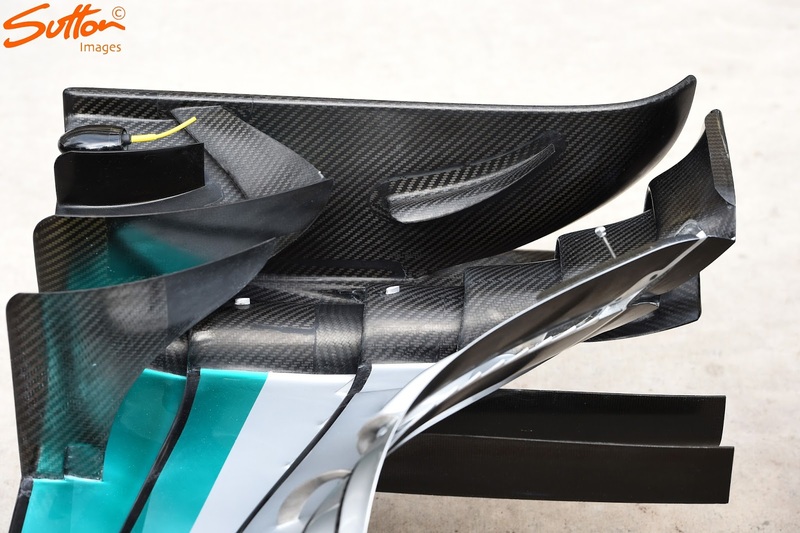 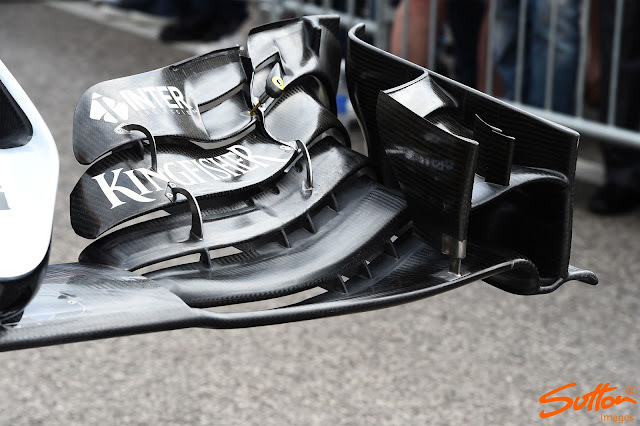 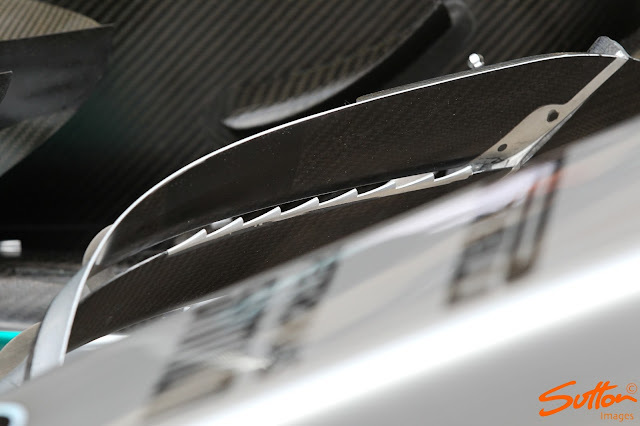 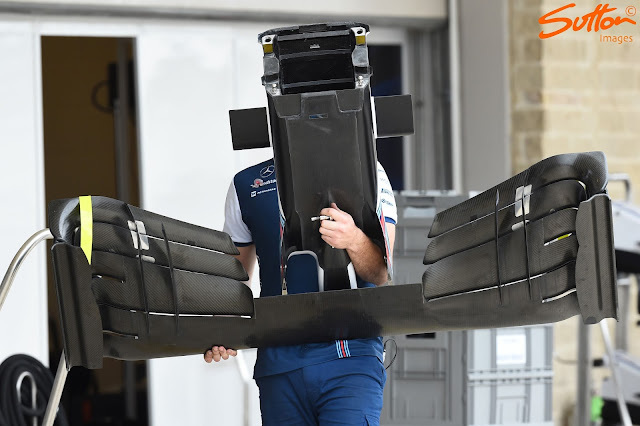 As such the wing shown above handles the airflow in a slightly different way to the previous spec. 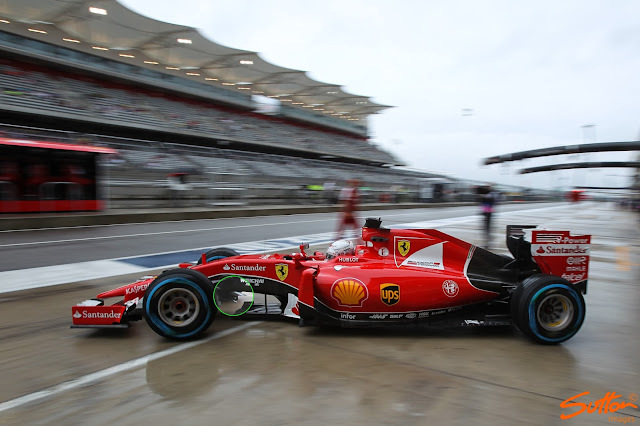 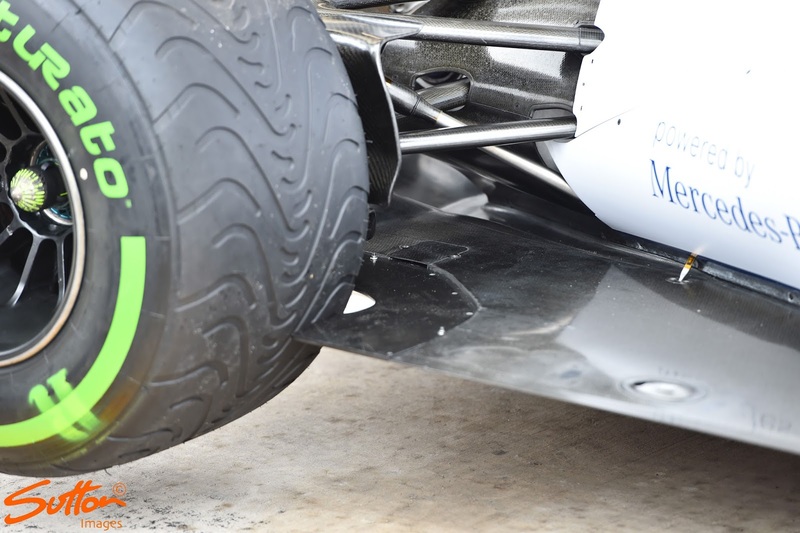 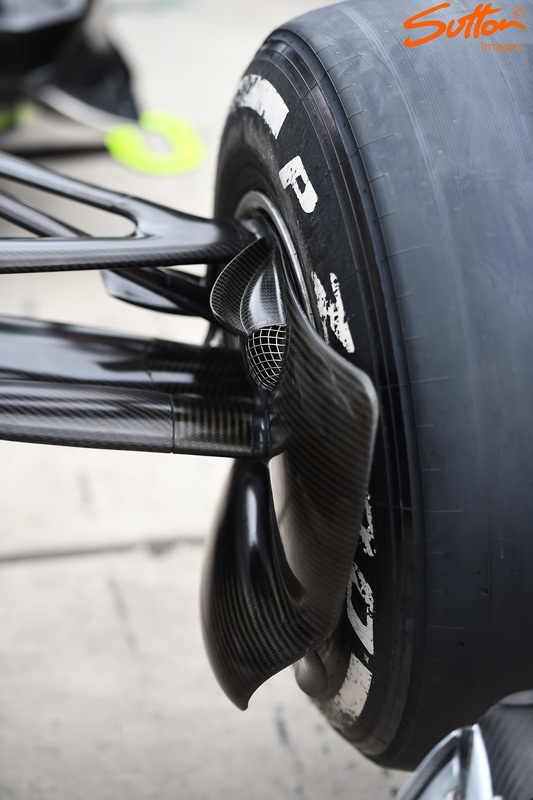 Furthermore it changes the shape of the vortices it sheds and in doing so how the airflow spilling off the tyre behaves.